Dave Farrow - Leading Expert on Memory and Focus Improvement, Brain Based Learning, Accelerated Learning, Self-directed Learning. Dave shares simple, fun and effective skills to help you laugh and learn your way to success in any area of life. Dave Farrow is the Guinness World Record Holder for Greatest Memory - he memorized the exact order of 59 packs of shuffled playing cards and recalled them with only one card error - that's 3068 cards! Dave began his career as a failing ADHD and Dyslexic student in Kitchener, Ontario, Canada. Ready to drop out, Dave went to the library to learn everything he could about memory, to improve his grades and graduate. While still in high school, Dave began teaching memory improvement techniques to other students and teachers and they all loved it. Dave began his career teaching memory improvement techniques while still in school and created the Farrow Method for Memory Improvement, Focus and Speed Reading. In 1996 Dave Farrow earned the Guinness Record for Greatest Memory by memorizing and recalling the order of 52 decks of shuffled playing cards (2704 cards). In 2007 he broke his own record by memorizing and recalling the order of 59 decks of shuffled playing cards (3068 cards). Today, Dave Farrow is a successful speaker, author and entrepreneur. His Farrow Method for Memory Improvement and Brain Based Learning is the top learning program of it's kind in the world. Dave and the Farrow Method have been featured on over 2000 interviews on TV, Radio and in print publications. Farrow Memory Speakers (FMS) - The demand for memory improvement was so great that in 2009 Dave began training other speakers to deliver his program in their local area. All Farrow Memory Speakers complete an online memory certification program through Cal State at San Bernardino's Extended Learning Department and are certified to teach the Farrow Method by Dave himself. Specialized memory topics may vary by speaker and speaking fees may vary by speaker and region. Dave Farrow and a roster of trained Farrow Memory Speakers around Canada, the U.S. and the world, makes memory improvement for any group just an email or phone call away. Contact Dave Farrow and Farrow Memory Speakers today to match your business, group or learning institution with the best memory speaker, specialized memory topic and fee. Your brain will thank you for it! 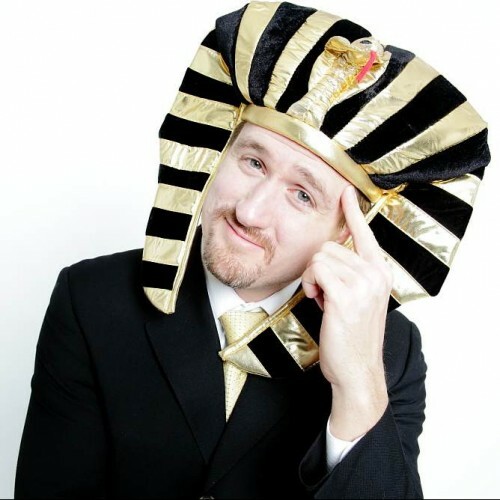 Find out more about Dave Farrow, the "pharaoh" of memory at http://www.davefarrow.com.